Over the last 45 years, Cushman & Wakefield | Commercial Kentucky has made a mark on Louisville. As part of the celebration of our 45th Anniversary this year, our firm would like to bring some much-deserved attention to some local charities that are also making a mark on our community. Each month, we will spotlight one of these charities via our social media as part of our “45 Things” giving back campaign. Our employees will be collecting needed items for these twelve local organizations and we hope that once you know the tremendous good they are doing here in Louisville, you will do what you can to help these organizations, too! May’s worthy organization is The Home of the Innocents. The Home of the Innocents has been serving our community since 1880. They provide a range of important residential and treatment to help Louisville’s most vulnerable children and youth find emotional, physical and intellectual support that can transform their lives. The Home also operates a pediatric convalescent center for children who are terminally ill or require technology to sustain their lives. 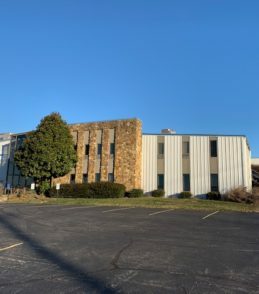 Cushman & Wakefield | Commercial Kentucky has worked with The Home of the Innocents in the past, both as our client and as a charity we support. Staff member, Tammy Madigan is proud to say that her cousin, Paul Robinson, is president of The Home, and Chairman, Phil Scherer’s wife, Kathy, is a past board member. 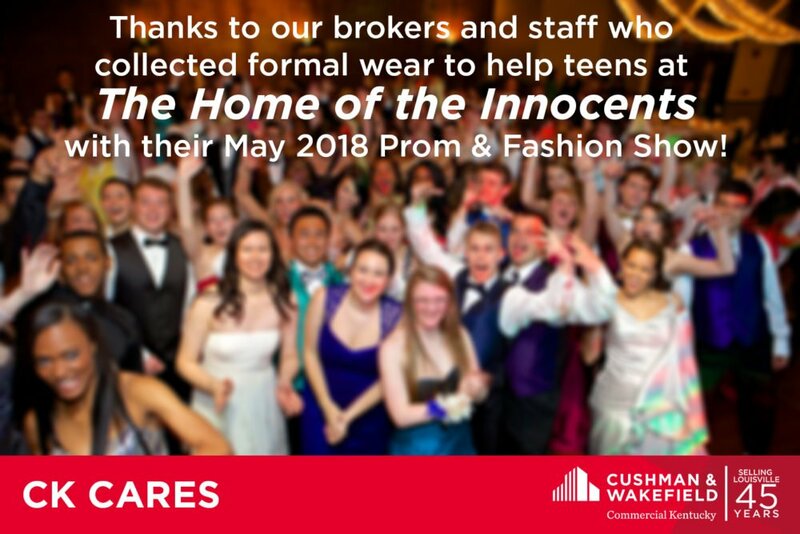 We received notification that The Home of the Innocents was collecting formal wear items for a “Prom Fashion Show” to help the kids have an end of school year event, while also helping to boost self-esteem for some kids who so badly need this. Our brokers and staff were able to completely outfit two young men, as well as donate a variety of other formal wear pieces for other kids at the center. We hope the event is a big success and we are delighted to bring some attention to the employees and volunteers who work tirelessly to give these kids a better future! If you’d like to learn more about The Home of the Innocents, please check out their webpage and see if there is a way you can volunteer or donate to help them help others.